The World Economic Forum wraps up today in the Swiss mountain town of Davos after hosting some of the world’s richest and most influential people. 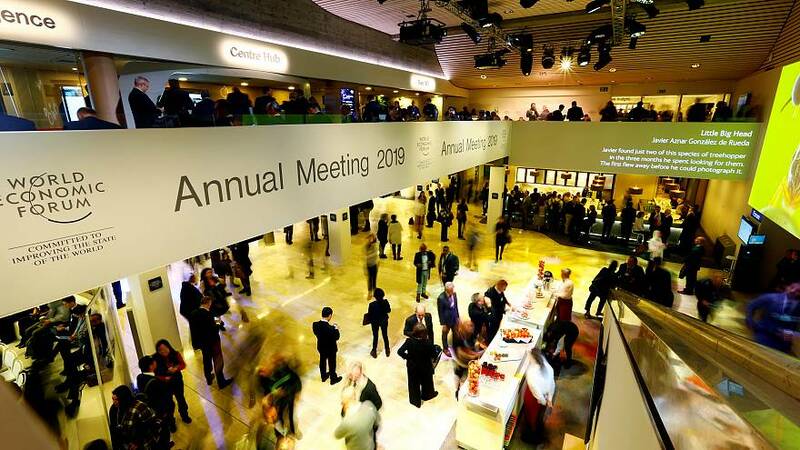 The event hosted more than 3,000 participants - however, with only 22% of the attendees being women, gender imbalance remains a big issue at the WEF. World Bank Interim President Kristalina Georgieva spoke about the issue in an interview with Euronews Business Editor Sasha Vakulina, urging women to stand up. "When women step up, we make better decisions and the world is a better place for all," she said. Women's participation at Davos has increased over the years – in 2016, 18% of the participants were women while that number rose to 21% in 2017/2018. Pam Kaufman, President of Viacom Global Products attended Davos for the first time this year –she told Good Morning Europe that she has witnessed ‘tremendous amount of conversations’ which were about how to move things forward on behalf of gender equality. “The Female Quotient actually had 80% women attending its pop-up equality lounge over the course of three days with over a 100 women speakers, really exciting presence there,” Kaufman added.